Serge Ivanovitch Taneiev's Convertible Counterpoint In the Strict Style published in 1909 is now available for the first time in English! The English Translation is of the most distinguished treatise ever written on musical composition. G. Ackley Brower translated the work, known to be the greatest ever written in its field. As a textbook on composition, it has been highly recommended by Dr. Serge Koussevitzky, who wrote the Introduction, Serge Rachmaninoff, Leopold Godowsky, Gregor Piatigorsky, and others. Reading the list of those authorities would, in itself, confirm that any individual who is a serious scholar of music education should take advantage of this new opportunity to acquire the text. I quickly highlight that the book assumes knowledge of simple counterpoint on the part of the reader. "The study of vertical-shifting counterpoint consists of an investigation of those combinations from which derivatives are obtained by means of shifting the voices upward or downward." (p. 25) Taneiev has developed a method by which the study of counterpoint is put on a basis of pure mathematics; i.e., an algebraic basis for a theory of complex counterpoint. Rimsky-Korsakov wrote that it would seem that his method ought to result in a dry and academic composition, devoid of the shadow of inspiration. In reality, however, "his own Oresteia proved quite the reverse--for all its strict premeditation, the opera was striking in its wealth of beauty and expressiveness." (p. 1) Indeed, Igor Stravinsky adds, "Taneiev was a good teacher, and his treatise on counterpoint--one of the best books of its kind--was highly valued by me in my youth. The book has two major parts related to vertical and horizontal-counterpoint for two and three voices. The text includes both rules as well as musical scores and includes specific algebraic notations. Music Education scholars take note: Tschaikowsky, fifteen years senior to Taneiev would submit to criticism from this pupil of his which he would tolerate from no one else. Indeed Rimsky-Korsakow, with all his technical brilliance, felt like a student musician in the presence of Taneiev, and admitted it. Given the major composers supporting this book and the author, need I even say that this is a MUST addition to your library! When was the last time you read a great ghost story—for instance, one like The Legend of Sleepy Hollow? For me, a great ghost story is not full of ugly, murderous ghosts, it is a literary tale of delight and wonder, one that keeps you on the edge of your seat as the storyteller shares his words of how those in the afterlife may sometimes make the life of we who are left behind just a little different—and sometimes in necessary ways to right the wrongs committed in the past. I am very pleased to introduce Brian S. Wheeler’s Mr. Hancock’s Signature—a ghost story extraordinaire! In a little town in Monteray County, a young man named Stephen Hancock rocked on his porch as one by one every piece of furniture was being sold at auction. He was the last of a family who had lived long on their land, farming and providing for their needs. They rarely left home, choosing to bury their own right in the front yard where they could keep the small plot free from weeds and filled with flowers. Now people roamed through the flowers, sat on the tombstones, waiting to find that treasure that had lived in their neighbor’s home. If they thought about Stephen that day, it was only to pray that they never would see the end of their family’s line and also lose their homes. But Stephen just did not have the skills and heart to carry on the farm. His brother had been the one who had loved the land, but he had gone to war and when they sent home a casket, the only thing inside was an American flag. Stephen’s father was still alive at that time and his father sent him into town to find a stone that would do honor to the son who had given his life for his country. Stephen roamed through row after row of stones, trying to find the perfect one. All afternoon he searched, until finally, in desperation, he was taken into an old shed, so dark that they had to use a flashlight. And then that light disappeared, seemingly lost as it hit something that refused to reflect the light. That’s when Stephen found the obelisk, its blackness was so deep, that he couldn’t look away. Where did it come from? The salesman couldn’t recall ever seeing it before... Later, Stephen and his father planted the empty box at its feet. And it was there at the obelisk that Stephen said goodbye to his family and left the only home place he had ever known. It was also the place where Ian Washington, a young boy out for a bit of mischief, heard Stephen as he spoke to his dead brother, even though an empty casket was buried. And it was there that Ian saw a bright light and heard a humming sound that would stay with him through his life. He later wondered whether it was fate that brought him back to that little country town to become its city engineer. For it was not too long after his arrival in town that the ghost train made it first visit back to the old train station. And when the sounds of the whistle from invisible steam coming from the invisible train disappeared, there was a coffin left alongside the old tracks. And surely it was fate that when the security guard found that coffin, the only city official he could find to sign off on its burial was, Ian Washington, the new engineer. When that coffin was opened, there was nobody living in town who could identify the man who had died and been brought there—that is, until Mr. Drumming, who was one of the oldest and most prosperous farmers, was contacted and it was discovered that the body was that of Stephen Hancock. Indeed it had been Mr. Drumming who had purchased the land that had been the Hancock farm, for a lower price than it was worth, plus a promise. Ian Washington could not share the secret that he had eavesdropped on the last prayers of Stephen Hancock, but he also couldn’t forget his declaration that there would be nobody to bury him when it was his time. Ian Washington knew he was meant to ensure a proper burial, but there was no room in the little family cemetery that was now completely encircled by rows of corn. And Mr. Drumming was not interested in working with Ian to provide additional land. And so the body was taken to a funeral home. There William Compton cared for him just as he would for anybody and promised to keep him there to wait for final burial as soon as a location could be found. But by the next day, the body had disappeared. It was found later that day and returned—only tobe again stolen that night. There were some who said they caught sight of something that looked like a man dragging a dead body. At least one knew it was a golem of a man. Jack Johnstone had seen that golem, just as he saw the others—those that lived in the depths of the river. As a young boy, he had been one of those children who challenged the river by jumping from the train tracks into its depth. And it was Jack who had one day convinced his young friend that it would be easy and would gain him a good reputation in town. The young friend instead became one of those who never came up to the surface but stayed there, waiting. It was then that Jack had begun to see them, as they taunted and followed him as he left. Jack Johnstone had become the town drunk and during those hours under its influence, he would start talking about what he saw. Soon he had a following and it became a church, a strange church indeed, where all the men carried guns and Jack Johnstone carried Fire and Brimstone, two ancient pistols that he laid across the Bible each Sunday. And as Mr. Hancock’s body was moved from place to place, it was Ian Washington and Jack Johnstone who joined together with the now-haunted funeral director and other town people to help ensure that the dead walking in Monteray would finally be able to go home. But would they succeed? And would the engineer of the Ghost Train wait? This tale is riveting, yet brilliantly written in a voice that tantalizingly tells of a small country town where the dead walked, until neighbors stopped fighting and drew together to help those who could no longer help themselves. 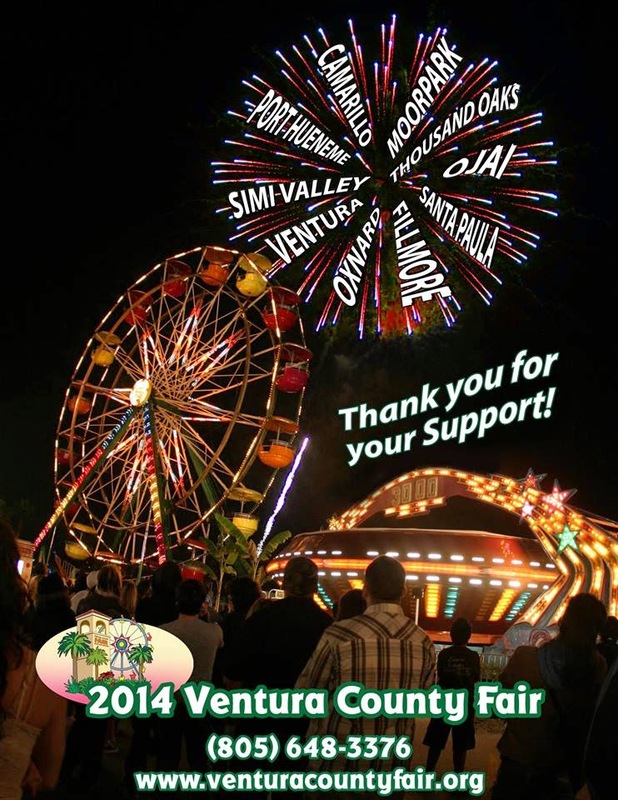 You’ll be sorry if you miss this one! 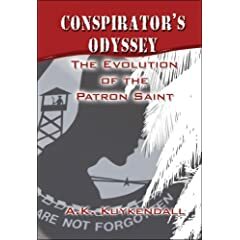 With an exciting alternative history novel, Conspirator’s Odyssey: The Evolution of the Patron Saint, Aaron Kinte Kuykendall presents his first book in a new “Conspirator’s” series. Why? This one-word question is one that many of us first learn and continue to use throughout our lives. Why was John Kennedy assassinated? Why did 9-11 happen? Why are we in Iraq? We want to know the “why” of it. Only once we know why, will we then turn to the other questions of who, what, when, and where. Alternative history has found a place in literature as we all seek to learn the “why” behind what happens in our world. For many times, we are not satisfied with the answers to questions that are spoon-fed to us through the media. Mr. Kuykendall presents an obviously well researched novel that moves us through the United States late 1940’s history into the future in a thoroughly plausible response to many of those incidents about which we have found no satisfactory explanation. Is any of the book true? Is all of it true? 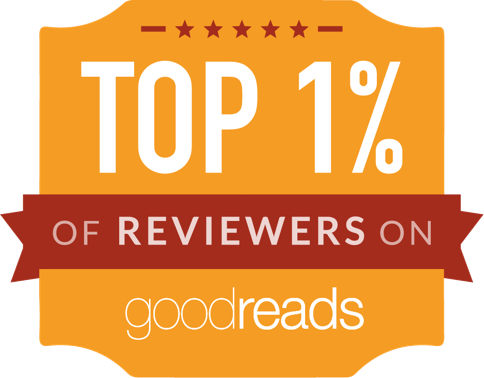 Only readers can match their own knowledge of historical events, evaluate the options found in Conspirator’s Odyssey and arrive at their decision. However, this reader can assure you that the concepts are logical, that the story presentation is excellent, and the characters just may haunt you in their respective roles within our government. Major Kalista Flaker of the United States Army is the heroine of this story. Yes, she is a major in the army; however, she has also now inherited the role of leader of a secret organization, one that reaches across the world, fighting against those who conspire against the United States. It is a bitter pill to swallow that most of those she fights against are found within the agencies of the US government, especially within the security sections. However, facing the reality that she has lived through, she had no choice but to accept and respond to these dangers. Everything that had happened dated back to before she was born. There had always been talk of UFO sightings and she had scoffed at them along with most Americans. It wasn’t until she was sent on a mission to Vietnam, had talked to a war prisoner and received a vial of his blood that she knew the truth. She had tested and studied the blood and found unknown DNA and other elements. The soldier had alien blood in his body! She would never forget that mission. She had been in charge of a group of rangers and SEALs. Selected to lead the group by General Thimpkin, the man who had guided her, mentoring her almost as a father, she alone had been told of the full extent of the mission. The group was being sent to Vietnam because they had learned that there were Vietnam War prisoners still alive. They were all to be killed. Indeed, everyone on the mission was to be killed, except her. General Thimpkin had made special provisions to get her out. Everything had happened as planned—almost. Following orders, they had killed the American soldiers, prisoners who had lost limbs, who were barely holding on to life. In fact, she was puzzled how they were still living! Kalista pulled Buckner to the pickup site, the only one of her team she had found alive, and had saved his life. And then others as she once again ignored commands of her superiors. Buckner continued in a coma for more than five years. Much had happened during that time and Kalista was ready—ready to seek revenge. But she needed help—she needed Buckner, so while he had been comatose, she had injected him with a variation of the blood the soldier had given her before she killed him. The alien DNA had been test-injected into those poor soldiers and had lived through years of torture and hunger when they should have been allowed to die. Kalista knew that if her research had been productive that others would have also been working on the same DNA. She was sure she had discovered what would happen in a successful transfer into a human. She and Buckner would be testing her theories. For, you see, all of it tied together. Project Aneman was still moving forward. They knew the answers to why Kennedy was dead, why there had been bombings at the World Trade Center. They knew who would be elected next. And they knew they had an ongoing mission—to find and destroy conspirators who had sought power and money through abuse of authority and position. The only thing they didn’t know yet—were the conspirators human? As the first in a series, Conspirator’s Odyssey should be on the must-read list for those looking for and who enjoy reading alternative historical answers!